Lions are members of a community service club, dedicated to the idea that the men and women who live in a community are in the best position to know who needs help and why. Lions are members of more than 43,000 local clubs world-wide, these local clubs are part of the worlds largest such organization, with 1.4 million members serving in more than 180 countries and areas. The association is both non-political and non-sectarian. Founded in Chicago, Illinois, in 1917 by insurance agent Melvin Jones and others, Lions Clubs International has ever since offered business and professional people a way of sharing their success by helping those less fortunate than themselves. The association became international when a club was formed in Canada in 1920. Lions are best known for their sight-related programs, including SightFirst, the world's largest blindness prevention program. 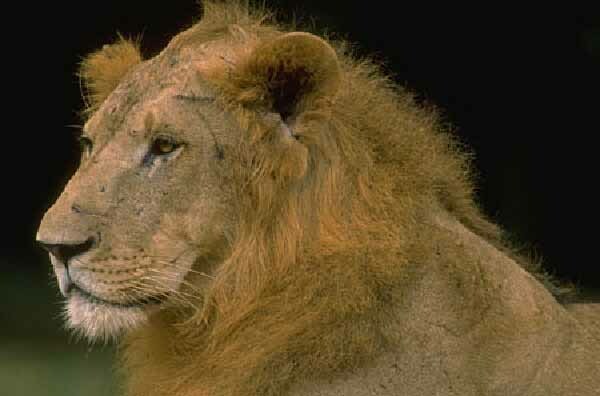 While Lions speak many languages and profess many religious and political beliefs, they all subscribe to common objectives and ethical principles. It's a story of answering the needs of the community and of disadvantaged groups and individuals. And it's a story of building and working with other Lions Clubs to promote teamwork in service. We are perhaps most proud, however, to be a part of Lions International. Through Lions International we can help fight blindness and other social problems around the world while promoting international understanding, and that's what makes our association so special. The Garden Ridge Lions have been a part of your community since 1973. Our club is chartered through Lions Club International, which is the world's largest service organization. When asked who or what are the Lions, we have the simplest and most complete answer: we make as much money as we possibly can to give back first, to this community and second, to people all over the world. This means that children with vision impairments will be given sight and that people with other disabilities will be able to participate in our community, and in general, will better the living conditions of those less fortunate than ourselves. We can't do these things as individuals, but if we are loving, caring adults with an inspiration to help others, we can band together, and with God's help we can make some miracles happen. No child in this part of Comal County, if they have correctable vision has to go to school unable to see. If their families are not able to bear the cost of the eye exam and the purchase of the glasses, the Lions Club is ready with this funding. Often, we receive feedback from when we have touched the lives of these kids. There are many stories that make our hearts fill with a sense of accomplishment. When we receive letters and notes that say," thank you, now I can see what the teacher writes on the chalkboard," we know we are getting the job done. The Garden Ridge Lions have sent many of this area's kids to the "TEXAS LIONS CAMP for children with physical disabilities & children with diabetes." Most of these kids would never have otherwise been able to go to camp, but the Lions camp was just suited to their needs. Their parents tell us of their apprehension and concern; the children come home with tales of wonder and the thrill of going canoeing and horse back riding and the love and help of a great staff of caring people. A highlight of Lion International’s early history was a speech at the 1925 convention, when the legendary Helen Keller challenged the Lions to become "knights of the blind in the crusade against darkness." Maybe you know someone who has received a cornea transplant from the Lone Star Lions Eye Bank, or maybe you know someone who uses guide dogs that were furnished by the Lions Leader Dogs for the Blind. Or a blind person who has learned a skill through the Lions World services for the Blind. If you've been in this area for any time at all, you should know at least one of the recipients of the college scholarships that the Garden Ridge Lions Club gives. At the end of each school year, deserving seniors are selected to receive our scholarships. We're trying to do more. It sure is a wonderful feeling to be able to help. The second and fourth Wednesday of each month at 7:00 p.m., the Garden Ridge Lions Club meets for a wonderful supper and a short meeting. The meeting is held at The Club at Garden Ridge, 21320 Water Wood, Garden Ridge, Texas, 78266. The Garden Ridge Lions is non-denominational organization with an eye on accomplishing what we can of the Lord's work. Our meetings start with a Prayer for our souls, and the Pledge of Allegiance from our hearts.